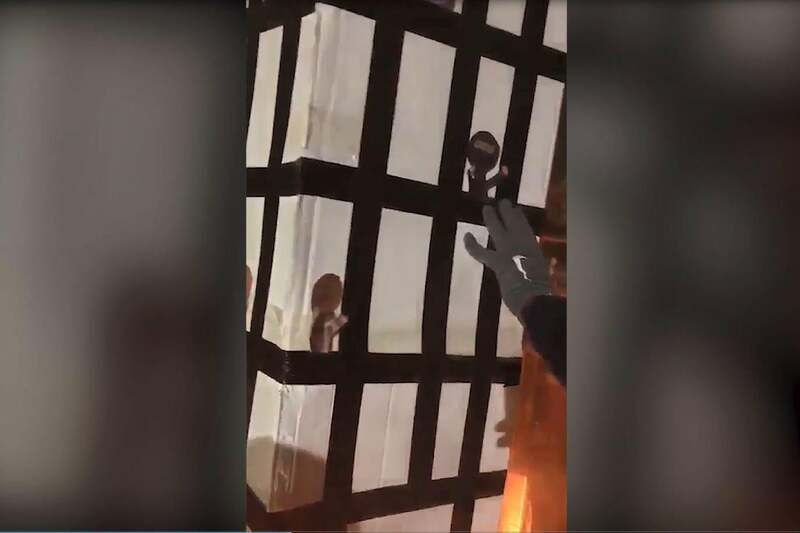 A man has been charged over a video posted online of a cardboard model of Grenfell Tower being burnt at a bonfire party in south east London, Scotland Yard said. Paul Bussetti, 46, was charged on Friday with two counts of sending/causing to be sent grossly offensive material via a public communications network. He will appear at Westminster Magistrates’ Court on Tuesday, April 30. The clip, posted in November, showed a model depicting Grenfell Tower being placed over a naked flame and set alight while the men jeered. 72 people died as a result of the tragedy at the west London block on June 14 2017.